I’m going to start from a later book and work my way backward here. 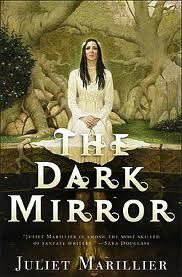 The first Marillier fantasy I read was The Dark Mirror, in May of 2006, for an HNS review. I immediately fell in love with the author’s style and subject matter. She writes fantasy but combines that with just a tug of realism, enough to jump-start the imagination and pull one from the outer world into her realm. The Dark Mirror, a story set in the Dark Age, pre-Celtic Scotland and seeped in early Druidic magic, reminded me of an Arthurian saga: it’s the story of a young boy who is sent away to be raised and educated by a wise sage in preparation to become a great leader of men and a uniter of a divided land. Bridei, the child king, finds a tiny infant, a gift of the fairy folk ( he believes), on the doorstep one night, and is enchanted. He convinces Broichan, his tutor, to allow her to stay, against Broichan’s desire. Tuala grows up a wild, fey child while Bridei trains diligently for his future duty, each coming to terms with their destinies that are both separate and entwined. This is a beautiful and enchanting coming-of-age fantasy, the first in an the Bridei Chronicles trilogy, all of which I read, reviewed, and adored. The second book is Blade of Fortrieu, and the third, The Well of Shades. After completing this trilogy, I worked backward, wolfing down the entire Sevenwaters trilogy. The first was Daughter of the Forest, based on the traditional story of The Six Swans, which appears in Grimm’s Fairy Tales and has been re-told in many versions (including one by Hans Christian Andersen). The plot centers around Sorcha, the youngest daughter and seventh child of Lord Column of Sevenwaters, who has been raised almost entirely by her six older brothers, as her mother died during her birth. When her father’s new wife, the Lady Oonagh, attacks Sorcha and her brothers, Sorcha alone is able to flee into the forest and escape. Sorcha’s brothers, however, have been turned into swans. Sorcha learns that if she can spin six shirts from nettles, remaining absolutely silent until the last one has been completed, she can free her brothers from Oonagh’s spell. Sorcha agrees to this and spends several years in the forest, hiding from Oonagh as she works on the shirts. The plot only thickens from here, as Sorcha is not destined to remain isolated to complete her painful task. From this description, it might seem as if this book couldn’t possibly be filled with human relationship, struggles, pain, and grief. However, this was one of the most vividly emotional and expressive novels I have ever read. Marillier manages to bring alive the suffering of men who cannot control their changing form. The fear, the danger, the tenuous hold to life, the struggle to survive in the fight-to-the-death natural world that they inhabit, hunger, disease, predators…all these things haunt them until Sorcha can complete her life-saving, yet torturous task. The author herself states, “In my story I sought the human dilemmas at the heart of the fairytale, for such tales have at their core the most wondrous and the harshest of human experience, the best and worst of human behaviour. Honour, trust, courage, true love. Treachery, betrayal, cowardice and hatred…” And oh, did she succeed! And all this with a happy ending…not a “Hollywood, perfection, happily ever after” ending, but a realistic, haunting, and touching ending. 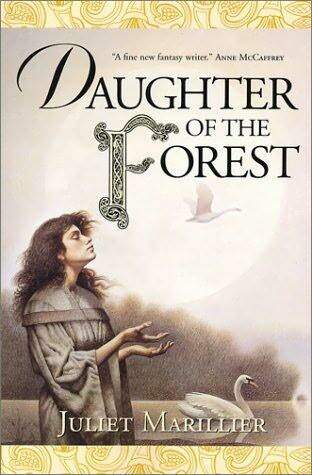 Daughter of the Forest won the American Library Association Alex Award in 2001, very well-earned indeed. The second novel in the series, Son of the Shadows, was just as enchanting and captivating with the same high-quality writing and characterization as the first. 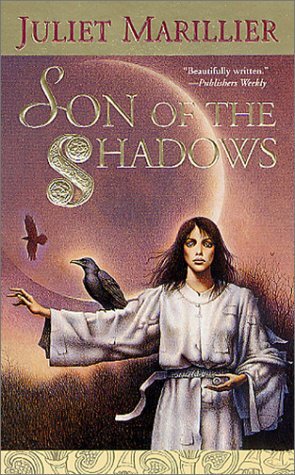 From the author’s website: “Son of the Shadows takes up the tale of the Sevenwaters family one generation after the events of Daughter of the Forest. After years of comparative peace, darkness has fallen upon the region and leaders are called upon to declare their alliances. Golden-haired Niamh, elder daughter of Sorcha, finds herself required to make a strategic marriage, while her sister Liadan must venture into the shadowy world of the Painted Man and his followers. In doing so, Liadan begins a journey that is to transform her life.” This book won the Aurealis Award for Excellence in Speculative Fiction in 2000. 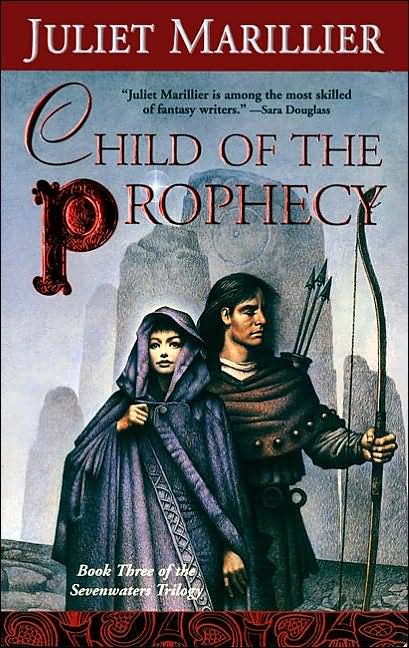 Child of the Prophecy is the final installment. “Raised in an isolated cove in County Kerry, the young sorceress Fainne is sent to Sevenwaters and burdened with a terrible task. She must use whatever powers she can to prevent the Fair Folk from winning back the Islands, no matter what the cost. The price of disobedience is weighed in human lives: the lives of all those she holds dear. 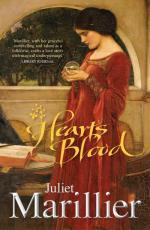 I have also read and reviewed Heart’s Blood, which was published in 2009. Described as a “beauty and the beast tale with gothic sensibilities” (Booklist), I wholehearted agree with that description. Vivid, touching, evocative, atmospheric. Dark, otherworldly, yet hopeful.